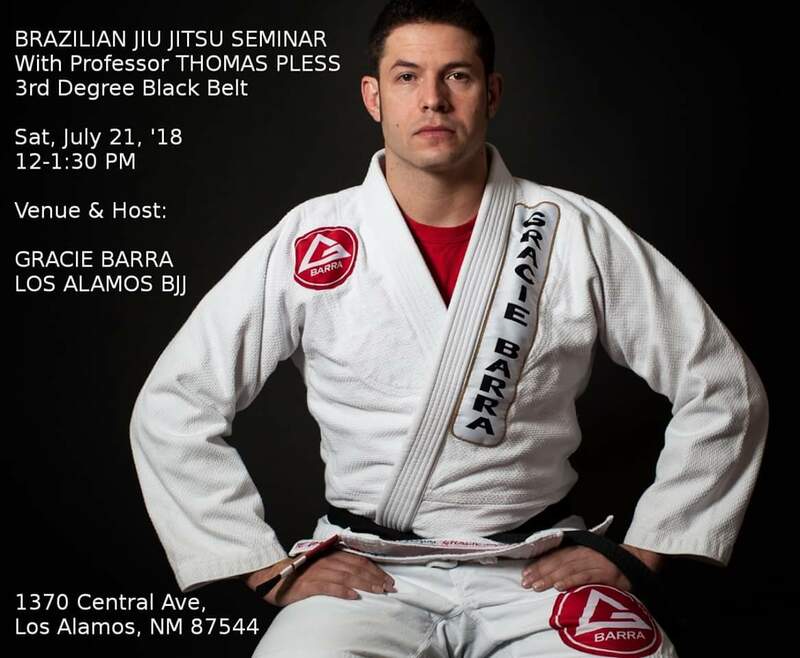 BJJ Seminar With Professor Pless Sat, July 21, at Gracie Barra Los Alamos. 12-1:30 PM, 1370 Central Ave, Los Alamos, NM 87544. 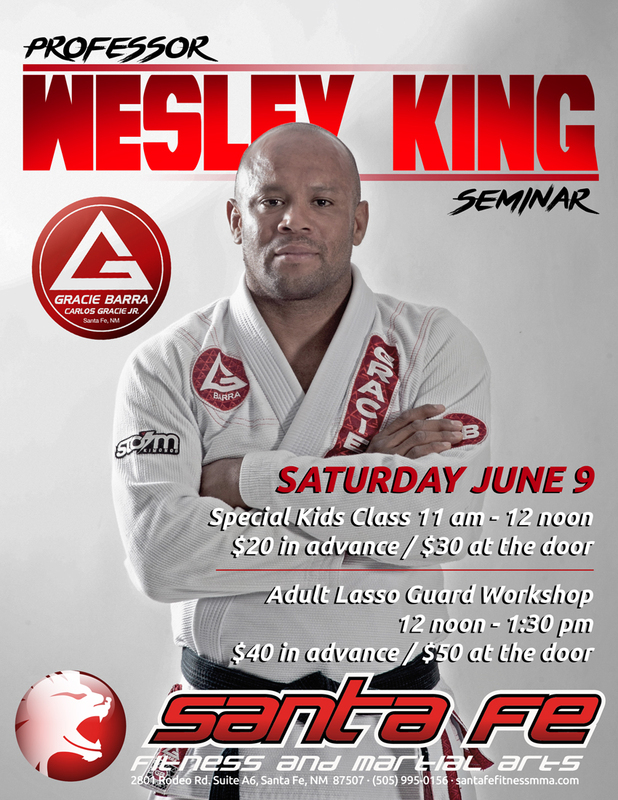 Invited guest instructor, Professor Wesley King, will teach a seminar on Lasso Guard to adults, Saturday, June 9, at Gracie Barra Santa Fe. Pay in person at the Academy in advance for $40 in advance, or $50 at the door. 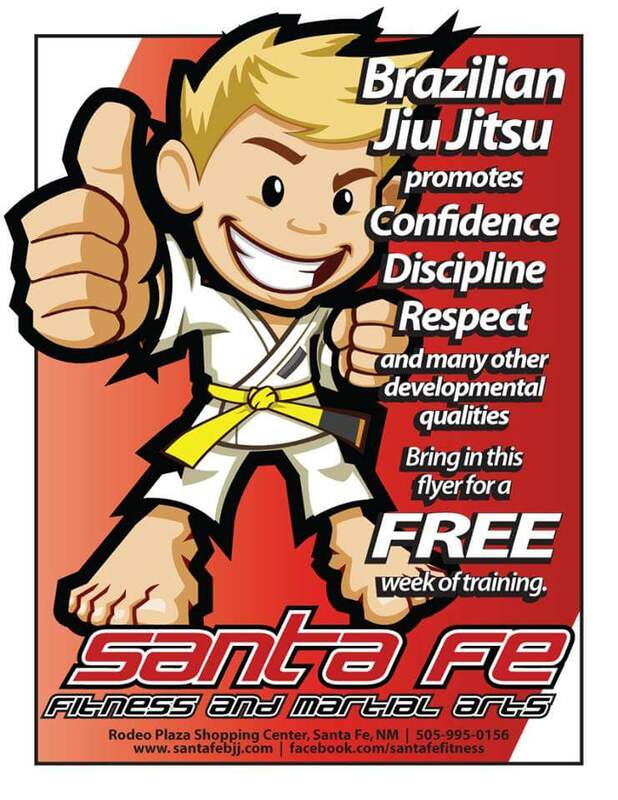 Adult seminar: 12-1:30 p.m.
Special kids class from 11-12 p.m. $20 in advance. $30 at the door. 2801 Suite A6, Rodeo Road, Santa Fe, NM 87507.